The Aikido club (MUN Aikido) that I belong to is having our annual Fall Introduction session, so I thought I’d give a little bit of background on why I practice. When I was first looking in to learning a martial art, I wanted something that was compatible with my views on violence and aggression. Specifically, I wanted to learn a way of protecting myself, which didn’t involve beating someone to a pulp or breaking limbs. I’ve never been a big believer in fighting as a way to solve problems. 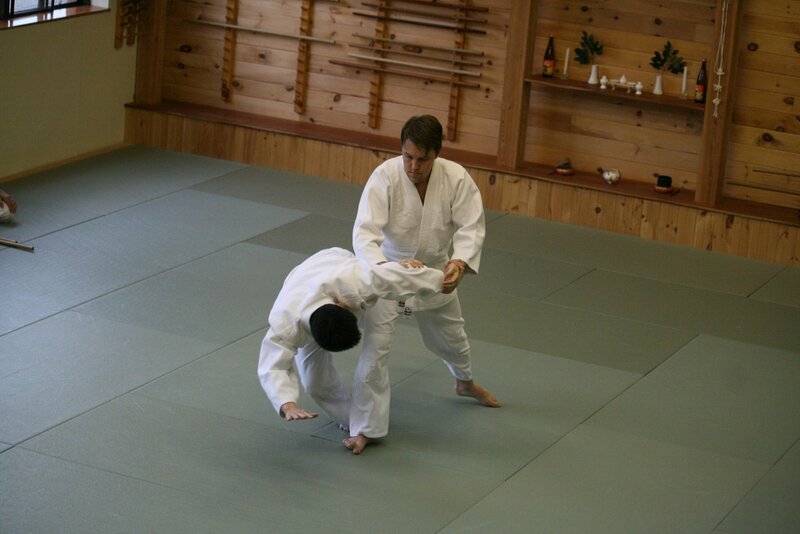 Aikido’s philosophy struck me as quite different from most of the other martial arts, in that it teaches how to deal with aggression without meeting it with aggression. While some might find this an odd approach, I believe that this is one of the things that makes Aikido unique among the martial arts. Another aspect of the art that I found intriguing was that it can be practiced, effectively, by nearly anyone. Some of my favourite people to practice with over the years have been those that might have been considered too “weak” for other martial arts, not because I can overpower them, but because they don’t need to overpower me in order to have effective technique. Aikido doesn’t rely solely on physical strength or speed, but rather on a disciplined mind and well-practiced technique. I’ve been thrown around the mats by people much smaller, younger/older, and less physically capable than I am, and not because I just gave in to them. Finally, I enjoy that Aikido is a bit paradoxical. On the one hand, it is a relatively modern art, having been primarily developed in the first half of the 20th century; on the other, it clearly takes its cues from very old and traditional Japanese martial arts. In order to learn techniques, one must think about what one is doing, yet to perform the technique well one must let go of the mind and “just do it.” It feels very much like a zen koan, one which leads to a better understanding of the world around us and within us.